UK Sailing Holidays from our base, on the sheltered waterways of Milford Haven, offer the fantastic cruising grounds of the Pembrokeshire National Park coastline and Nature Reserve Islands with a host of anchorages, award winning beaches and outstanding seabird and wildlife. 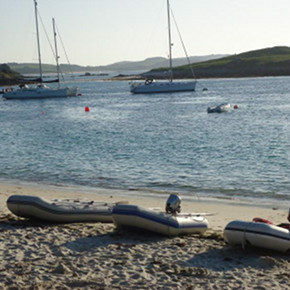 It is also the natural gateway to destinations further afield such as Lundy Island, Padstow, the Cornish Coast, the Isles of Scilly and Southern Ireland offering a wide range of destinations for your UK Sailing Holiday. For the experienced yachtsmen and yachtswomen we offer a fleet of Commercially Coded Jeanneau Sun Odyssey Yachts from 29ft to 37ft, offering up to 3 cabins and each with 6 berths. Charter with confidence with our professional service from the booking process, support with passage planning, provision of Pilots & Admiralty Small Craft Chart Folios for all the above destinations, plus detailed weather and tidal information at our comprehensive handover. Skippered Charter is also available. If you would prefer to experience a great sailing holiday without the worry of being the skipper, hop on one of our Adventure Cruises and head to Southern Ireland, The Isles of Scilly, or the Cornish Coast. The pleasure sailor can enjoy the experience in the sound knowledge that each of the yachts is skippered by one of our trusted RYA Instructors. The more experienced yachtswomen and yachtsmen can log valuable sea miles, night passages of over 60 miles and plenty of interesting pilotage, enabling them to consolidate skippering skills for their next RYA qualification. 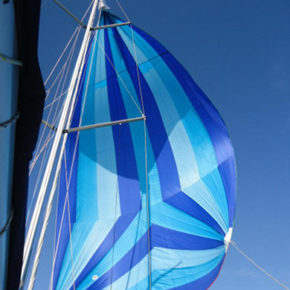 A great way to build sea miles and hone skills on your sailing holiday. If you would like to experience Pembrokeshire from the wonderful waterways on your holiday we offer great Family & Friends Sailing Holiday. Swim stops at a host of Award Winning beaches from Barafundel to Watwick Bay. Try mackerel fishing from the stern, crabbing from pontoons and visit the Nature Reserve Islands, abundant with seabirds and wildlife. You can also gain your RYA Competent Crew Certificate during the week. Your own yacht and skipper on your Family & Friends Sailing Holiday. 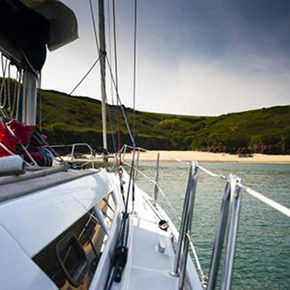 5 Day Sailing Holiday for a family of 4 from £2,300.00. Maximum of 5 family or friends per yacht plus your Skipper. Whether you are an individual, a couple, a family or group of friends we offer you a range of sailing experiences to maximise your leisure time on the water and have options to suit all abilities from just starting sailing to experienced skippers. Our fleet are all modern, deep fin performance yachts and are certified to the MCA Code of Practice for sail school and charter vessels. They are maintained and presented to the highest standard. Gift Vouchers now available whatever your budget..
Our gift vouchers can be for any amount and can be used against any of our schools or cruises. 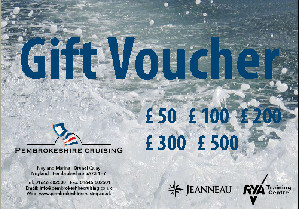 The gift voucher is valid for 2019 Sailing Season. Alternatively you can also book a friend or relative on a sail school or adventure cruise. Stay informed and keep up to date with the latest news and offers. Copyright © Pembrokeshire Cruises 2017 - 2019. All rights reserved.